Radomir Solutions offers personalized professional IT consulting and HR consulting across wide range of skill sets. Our expert HR consultants team has human resources consulting expertise to track, coordinate, screen and employ human resources according to your specific HR demands. Radomir, one of the fast growing end-to-end Recruitment & Staffing Solutions Consultants in India, was established in the year 2013. Radomir provides a comprehensive, end-to-end recruitment solution that covers every need of the customer, throughout the recruitment cycle. 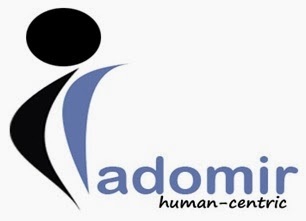 Radomir has dealt in HR to a level beyond just filling vacancies, and has continuously been adding value to the clientele by providing competent human capital. We are an innovative dedicated firm in the field of Executive Search gathering profound domain knowledge in the clients business, comprehensively research into the proficiencies and achieve the “Right Fit” between the client and the candidate. Our Technical and specialized consultant team has created a reputation of exceeding expectation and seamless collaboration across the globe. Our services provide the full range of talent management solutions designed to help organizations of all sizes attract, identify, develop, motivate and retain top performers. Today, Radomir service offerings are the benchmarks in the HR industry. At Radomir, we believe that a perfect HR strategy that centers around the happiness of the employees is of paramount importance for every organization. Our state-of-the-art technology backed by proven processes along with a certain sensitivity when it comes to managing talent has made Radomir the HR partner of choice. RADOMIR. Simple theme. Theme images by chuwy. Powered by Blogger.